Meet Your Acupuncturist. 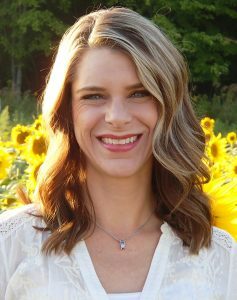 . .
Kristen is an Ohio State Medical Board Licensed Acupuncturist and a NCCAOM (National Certification Commission for Acupuncture and Oriental Medicine) certified acupuncturist. She graduated from The American Institute of Alternative Medicine in Columbus, Ohio. The professional Master’s level program is the only nationally accredited acupuncture school in Ohio. Kristen is also a member of the Ohio Association of Acupuncture and Oriental Medicine and served as treasurer from 2010 through 2015. Living abroad and traveling throughout Asia opened my eyes to alternatives to standard healthcare. After experiencing relief from my own health issues with acupuncture, I realized how much I could help others with their health challenges. Sharing all that I have learned with people and helping them achieve a better quality of life has been tremendously rewarding. I tend to spend a great deal of time with my patients. Taking all aspects of health and lifestyle into account, we can better manage solutions to health issues beyond the treatment room. In the treatment room, I strive to make each experience as comfortable and enjoyable as I can. Patients look forward to the peace and comfort of an acupuncture session and time to “turn off” and recharge as their body works on healing itself. I am constantly educating myself to be as knowledgeable as possible on various aspects of acupuncture, Traditional Chinese Medicine, nutrition, and preventing disease. Specialized training in allergy elimination and non-needle techniques for children has enabled me reach out and help even more people. I will continue to learn so that I can teach that knowledge to anyone who would like to enjoy a healthier life. I love the feedback after someone has their first acupuncture treatment and is excited to tell me about their pain relief or first night of restful sleep. I love working with people and seeing long-lasting health improvements. It’s also very rewarding when someone who I only treated once or twice, years ago, returns because acupuncture “fixed” them the last time and now they need me for another problem. Knowing that people realize you can help them, and having them come in with a problem before it becomes chronic, makes treatments very successful. People often come to me with chronic conditions and truly think that they will be better after one treatment. Although some relief may be felt immediately, it takes many treatments to achieve better health. Understanding this concept really helps patients have realistic expectations and not give up before the acupuncture has a chance to work. Chronic conditions became chronic over time, so it will take time to redirect the body to heal itself. Acupuncture and natural approaches to medicine can give the body what it needs to make positive changes. I stay healthy by keeping my life in balance. I strive to have a very balanced home and work schedule; eat healthy, organic foods; and do all I can to keep my immune system strong. I use supplements, herbs, and aroma therapy as needed to improve my health. Exercising and having acupuncture treatments also keep my body in good shape. Time with family and friends, and time alone meditating help alleviate stress. When my mind feels calms, my body follows.